Rose milk Popsicle always bring me back childhood memories specially summer time. 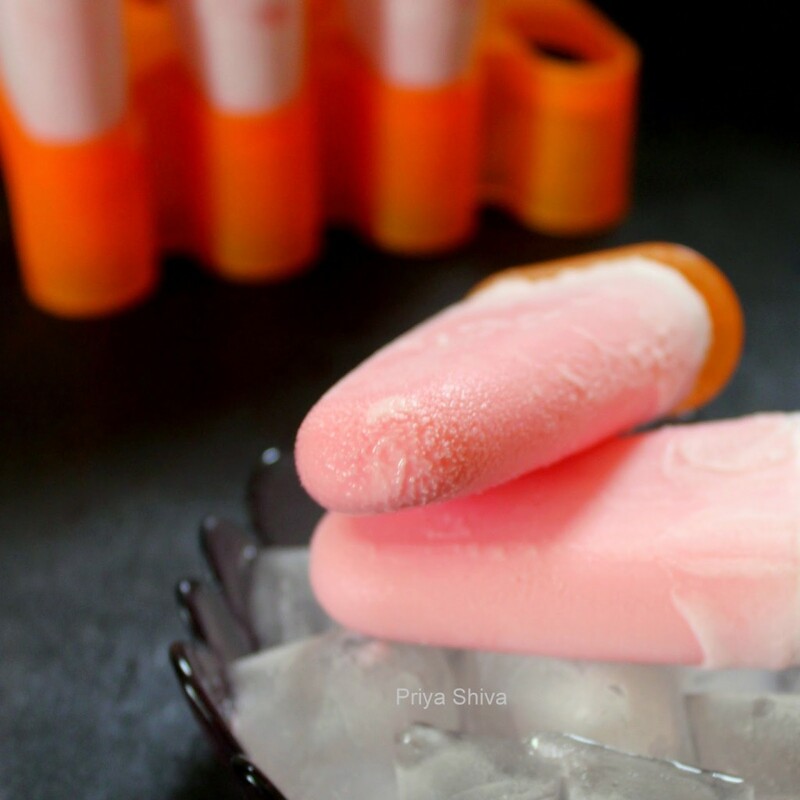 Mom always used to make these kuchi ice-creams (Popsicle) with different flavors and one of my favorite was rose flavored milky Popsicle. Someone has said it correctly that we get real pleasures of life from simple things. 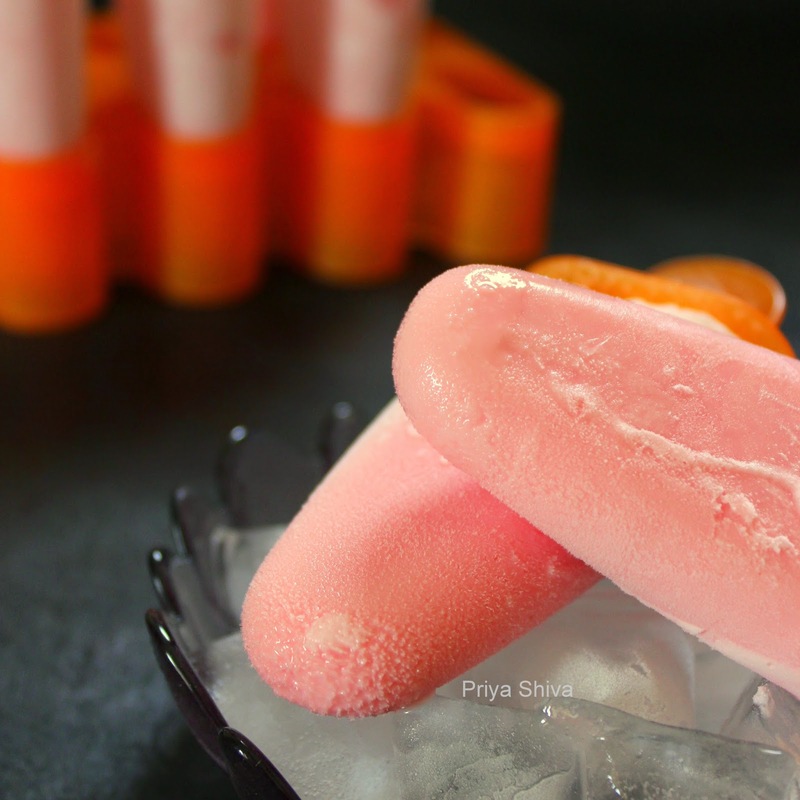 Also check out other popsicle and ice-cream recipes on my blog like Mango Ice-cream, Gulkand Popsicle, Starwberry Frozen Yogurt etc.. Rose milk popsicles are very easy to make specially if you have Hamdard Roohafza syrup handy with you. I get it in my local market but you can also order it online from Amazon or big basket. The syrup is made with cooling agents like rose which is perfect for this scorching summer. Make delicious rose flavored Popsicle! How refreshing, Priya! I love rose flavored desserts, and this ice cream sounds wonderful! lovely colour and a what a temptation. wow, droolworthy pop sickle.. will try it for sure.. Bye the way what's Roohafza?